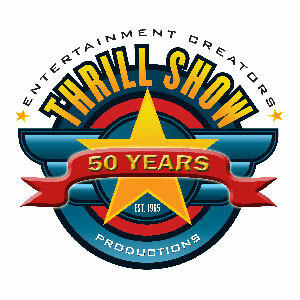 and register at the Thrill Show trailer, in the Pit Area. See below for additional rules and regulations. 1. Child must fit in the vehicles properly. Sitting on the back of the seat is not allowed. Child must be big enough to control vehicle and not fall out. 2. Participants must wear a protective helmet of some sort, hockey, bike, etc., along with long sleeves, long pants. 3. Parental and Minor Waivers must be signed. The show will be run immediately before the Demolition Derby. Please come early to the pit area to sign in and be teched. 1. Any store bought, PowerWheels, Peg Perego, etc, type battery operated vehicle. Absolutely no home-made or modified cars allowed. 2. These vehicles can be cars, trucks, tractors, atvs as long as they are not modified. All atvs and tractors MUST have leg protectors if feet are exposed. 3. Only 6 or 12 volt batteries permitted; must be fastened down securely, no full size car batteries – golf cart/lawn tractor/motorcycle batteries will be allowed, but must be fastened securely. 4. Doors, hoods etc, can be wired or zip tied shut but not mandatory. 5. No locking up rear-ends, strengthening bumpers, or beefing up steering rods; vehicle must be stock. 6. Recommend some type of seat belt especially for the little ones, to prevent them from climbing out while other participants are still operating. Limited spots available. Please pre-register.